2017 Activating Aesthetics edited by Elizabeth M. Grierson, Routledge, London. Activating Aesthetics addresses questions of aesthetics in education. The collection explores aesthetics, the application of aesthetics, and the aesthetic sensibility in educational practices and processes. The chapters canvas aesthetic ways of thinking and how such approaches may be understood through philosophies of education. The premise is that education, driven by means–end instrumentalism, may be activated another way via aesthetic encounters premised in difference. To build this argument, the authors engage works of Adorno, Benjamin, Bourdieu, Deleuze, Guattari, Heidegger, Hölderlin, Hokusai, Irigaray, Nietzsche, Sterne and Stiegler. The juxtaposition of these diverse theorists, philosophers, artists and writers makes for a rich tapestry of different perspectives on processes of learning, knowing and being. Aesthetics in activation discloses new ways of thinking about poetic and engaged pedagogy. Through these different perspectives, the whole collection works towards an educational philosophy of aesthetics. The chapters in this book were originally published as articles in a Special Issue ACCESS incorporated with Educational Philosophy and Theory journal. 2017 Transformations: Art and the City edited by Elizabeth M. Grierson, Bristol, Intellect Books, distributed by Chicago University Press. In Mediated Cities series published by Intellect Books. The contributors to Transformations explore the interactions between people and their urban surroundings through site-specific art and creative practices, tracing the ways in which people inhabit, imagine, and shape their cities. Drawing on the work of global artists, from Cambodia to Australia, New Zealand to the United States, this collection investigates the politics and democratization of space through an examination of art, education, justice, and the role of the citizen in the city. The essays explore how creative practices can work in tandem with ever-changing urban technologies and ecologies to both disrupt and shape urban public spaces. Section V Creative City: 14. Listening to the City Kristen Sharp; 15. Applying the Creative City: Curating art in urban spaces Tammy Wong Hulbert; 16. The Poetic City: Old songs left beneath the arches Nicholas Lyon Gresson. 2015: De-Signing Design: Cartographies of theory and practice, Elizabeth Grierson, H, Edquist & H. Frichot (Eds), Lexington Books, Rowman & Littlefield. De-Signing Design: Cartographies of Theory and Practice throws new light on the terrain between theory and practice in transdisciplinary discourses of design and art. The editors, Elizabeth Grierson, Harriet Edquist and Hélène Frichot, bring together diverse approaches from leading scholars in design theory, practice and philosophy, from Australia, New Zealand, Japan and UK, with scholarly writing on spatiality, difference, cultural aesthetics and identity in the expanded field of place-making and being. The book is organised around three guiding themes: (1) The De-Signing of Design, (2) Geo-Placed Knowledges and Design, and (3) A New Biological Paradigm for Design. The concept that design can be de-signed is presented as a way of exploring different approaches to an experimental and experiential thinking-doing that promises to further open up research possibilities in the fields of design and art thinking and practice. The fifteen writers in this book, all specialists in their fields of architecture, art, design, cartography, philosophy, cultural and film theory, are: Yoko Akama, Marsha Berry, Karen Burns, William Cartwright, Linda Daley, Lisa Dethridge, Harriet Edquist, Hélène Frichot, Elizabeth Grierson, Mark Jackson, Neil Leach, Stephen Loo, Scott McQuire, Maria O’Connor, Chris Smith, Laurene Vaughan. Critical approaches adopted by each of the writers establish a range of navigational directions for reconsidering design via practical, theoretical and philosophical lenses. In this way the book enacts a series of cartographic devices to articulate the spaces between theory and practice. 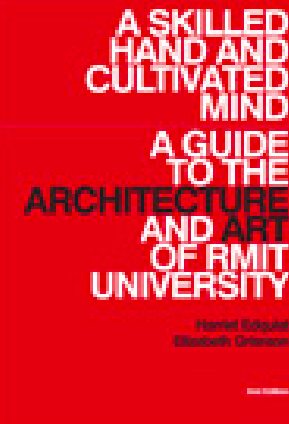 The ideas informing these essays were presented first at the RMIT Design Research Institute closing roundtable of the International Association for Philosophy and Literature (IAPL) conference, Global Arts/Local Knowledge, convened at RMIT University, Melbourne, Australia in 2008. III.Mapping a New Biological Paradigm for Design: 10.Mapping an Ethico-Aesthetics for Wet Biotechnological Architectures /​ Helene Frichot; 11.Digital Organic Design: Architecture, the New Biology, and the Knowledge Economy /​ Karen Burns; 12.De-signing as Bio-Technological Endosymbiosis /​ Stephen Loo; 13.Design, Second Life, and the Hyper Real /​ Lisa Dethridge; 14.Hopeful: Biology, Architectural Design, and Philosophy /​ Chris Smith; 15.Design and New Materialism /​ Neil Leach. This collection brings together 15 of Gresson’s most recent poems, four vignettes and two short reflections on what the poetic means to him after more than 55 years of writing. “Who puts the pieces together? But it is also the man – and I like best his easy, colloquial voice, and the connections he forges between man and nature. 2013: Re-Imagining the City: Art, Globalization and Urban Spaces, Elizabeth Grierson and Kristen Sharp (Eds), Intellect UK. Re-Imagining the City: Art, Globalization, and Urban Spaces examines how contemporary processes of globalization are transforming cultural experience and production in urban spaces. It maps how cultural productions in art, architecture, and communications media are contributing to the reimagining of place and identity through events, artifacts, and attitudes. 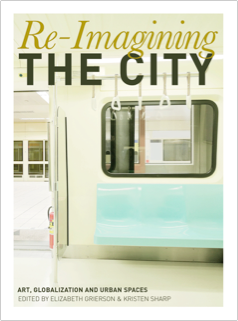 This book recasts how we understand cities—how knowledge can be formed, framed, and transferred through cultural production and how that knowledge is mediated through the construction of aesthetic meaning and value. This collection shows Nicholas Lyon Gresson at full power. Walking With Time brings together a range of new works with searching discernment of people, place and time. Gresson draws the reader into a world of everyday moments with a sense of joy and irony, at times playful wit, and taunting powers of observation. Nonsense and the abyss are brought into light as his words ensnare the reader with the object of his focus. This is Gresson’s second book of poetry following A Life In Poetry, 2011. 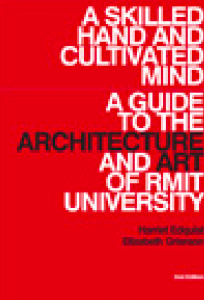 A Skilled Hand and Cultivated Mind: A Guide to the Architecture and Art of RMIT University records the importance of art and architecture in the University’s history, as well as charting some of the changes in Australian art and architecture over the last 120 years. 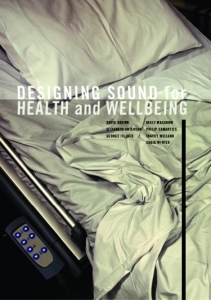 Designing Sound for Health and Well-being, D. Brown, E. Grierson, G. Jelinek, K. Macarow, P. Samartzis, T. Weiland, C. Winter, Australian Scholarly Publishing (ASP), Melbourne. This book investigates ways in which sound and music composition can ease the stress and anxiety of patients located in a hospital emergency department. The aim of this ground-breaking research was to test the function of environmental and electroacoustic music compositions on reducing patients’ anxiety levels in the field of emergency medicine. Supervising Practices for Postgraduate Research in Art, Architecture and Design, B. Allpress, R. Barnacle, L. Duxbury & E. Grierson (Eds), Sense Publishers, Rotterdam. 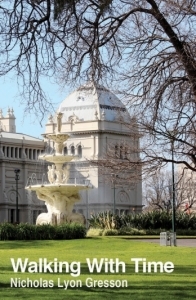 Supervising Practices for Postgraduate Research in Art, Architecture and Design offers insights into supervisory practices in creative and design-based research by academics at Royal Melbourne Institute of Technology (RMIT) University, Australia. The book focuses on practices of supervising candidates who are undertaking postgraduate research in art, architecture, design and creative writing. It addresses a decisive shift in the academy towards an emphasis on applied practice-led research undertaken through project-based investigations. This model articulates an effective means to conduct research on knowledge both embodied in, and discovered through creative and design practices. Such knowledge can be understood in the context of broad socio-cultural changes in which creative and applied practice is defining and leading cultural, scientific, technological and creative economies. 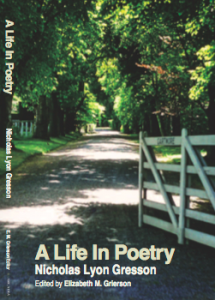 2011: A Life In Poetry. Nicholas Lyon Gresson, Elizabeth M. Grierson (Ed) Australian Scholarly Publishing, Melbourne. This volume brings together the poetry of Nicholas Lyon Gresson covering fifty-five years of writing.The poems start with the writings of a sixteen year old boy in the 1950s, and they emerge through the decades of life to 2010, where we meet the seventy year old man whose modes of thought are revealing the world of our existence. 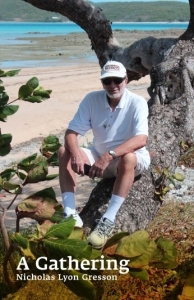 Nicholas Lyon Gresson was born in Christchurch, New Zealand, on 19 December 1939, to Terence Arbuthnot Gresson and Eleanor Lyon Gresson ne Denniston. Both parents had strong legal backgrounds, and Nicholass love and respect of the law is profound. Alongside writing and photography has been his immersion in work against crime, for which he was awarded a Royal Honour. Photography too has played a significant part in Gresson’s life, and he was the inaugural photographer forArt News Auckland, nowArts News New Zealand. The death of his eight year old son Emerson in 1982 led to a poignant series of poems in his sons memory. Today his daughter and two grandsons live in Christchurch. 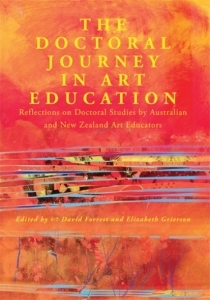 2010: The Doctoral Journey in Art Education: Reflections on doctoral studies by Australian and New Zealand art educators, David Forrest & Elizabeth Grierson (Eds), Australian Scholarly Publishing, Melbourne. Also available as an Ebook, supplied as a CD for 19.95. Please contact us for more information on how to order this item. 2009: Creative Arts Research: Narratives of methodologies and practices, E.M.Grierson & L. Brearley, (Educational Futures: Rethinking Theory and Practice series, M.A. Peters), Sense Publishers, Rotterdam. 2008: Thinking Through Practice: Art as research in the academy, L. Duxbury, E.M. Grierson & D. Waite (Eds) RMIT School of Art (Hard copy). 2003: The Arts in Education: Critical perspectives from Aotearoa New Zealand, E.M. Grierson & J.E. Mansfield (Eds) Dunmore Press, Palmerston North. Launched by the Rt Hon Helen Clark,Prime MInister of New Zealand, Minister for Arts, Culture and Heritage, at Old Government House, The University of Auckland October 2003. This book critically engages with the new Arts Curriculum in New Zealand. Copyright © 2019 Elizabeth M. Grierson.